If you are heading towards the health care system, it is very significant to have a running awareness of your rights as a patient. After all, you are going to take decisions in regard to the most vital part of your existence, the human body. It is never too early or too late to be healthy. Often patients have to face such bewildering situations, where they have to make rapid decisions regarding their health care. It is the right of every patient to obtain an “informed consent”, that is a physician must disclose all the information concerning well-being, risks, chances and alternatives in any medical procedure as per WHO and Universal Declaration of Human Rights. Can You Sell An Organ? The National Organ Transplant Act of 1984 (NOTA) provides that there is an excessive call for organs all over the world. This act creates an opportunity for those willing to donate the lobe of a lung, kidney, or the organs of the deceased are free to sell it, but federal law strictly prohibits the illegal selling of an organ. Can Doctor Disclose Your Confidential Medical Report Without Your Consent? If a medical practitioner attempts to disclose any information regarding your personal health without valid consent, he would be held liable under both Tort and Criminal Law for Defamation and Libel. Also, if a medical practitioner attempts to treat a patient without their consent would be liable for payment of compensation and imprisonment and can be sued in Tort for Trespass to person. Do you have a right to end your loved one’s life? It’s a very heartrending condition to see your loved one suffer through a painful illness and an agonizing sickness. 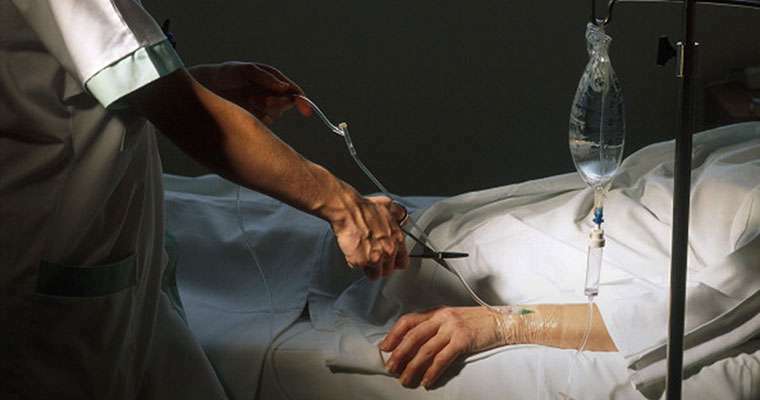 To deal with such situations, where a patient is mentally dead and physically disabled, Passive Euthanasia was made legal in India by the Supreme Court. The best example of this was the case of Aruna Shanbaug.However, Active Euthanasia is still illegal in India. How to fight medical negligence in respect to wrong medication? Patient has a right to be safeguarded against the wrong dosage of medication and drug errors by any physicians, nurses, hospitals, pharmacy, etc. If anyone found guilty for medical negligence would be held liable. Also, Section 27(17) of The Drugs and Cosmetic Rule 1945 provides that no drug shall be sold or stocked by the licensee after the date of expiration of potency recorded on its container, label, or wrapper. Section 27 to 30 of Drugs and Cosmetics Act 1940 provides for the penalty for manufacture, sale, etc of such harmful and adulterated drugs. Consumer Protection Act and Food and Drugs Administration (FDA) also deals with such complaints. These are some fundamental healthcare laws to strengthen the rights of patients and the knowledge of such laws will be beneficial to the proper implementation of health concerning laws to shield their health. Some show it, some don't. Like, you had to steal snacks from your kitchen.